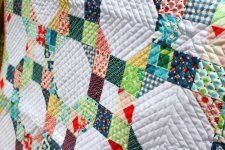 "So you've picked a quilt pattern, pulled the perfect fabrics, mastered the 1/4" seam allowance, completed a quilt top, and layered + basted your project, now what? Today I'm going to share some helpful straight-line quilting tips & techniques so that you can finish any quilt project (large or small) on your home machine. 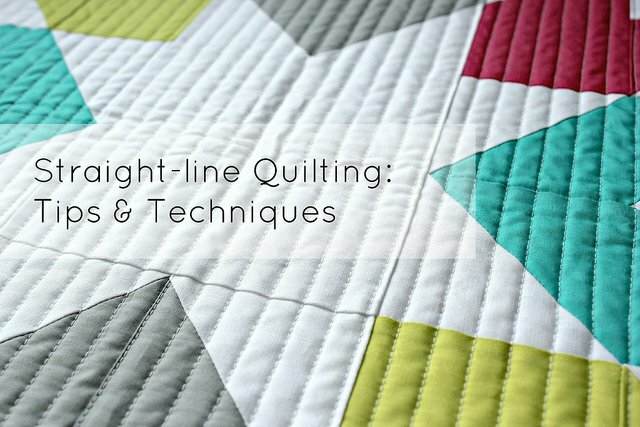 "Straight-line quilting is my favorite. If you've been a reader for any amount of time, you've probably already figured that out. It gives such a fresh & modern feel and can be used in so many different projects and patterns. Straight-line quilting also creates a great texture, especially when washed --- yummy! Plus there's something so enjoyable + soothing about stitching straight-lines, it's so therapeutic!"